Pay-per-click (PPC) is an internet advertising model used to drive an abundance of traffic to a website. 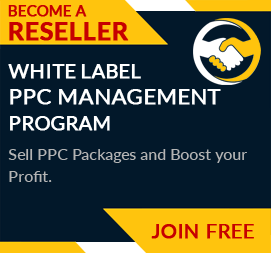 Unlike search engine optimization (SEO), PPC is a paid form of advertising where advertiser bids on a keyword and pay to the publisher for every click on the advertisement when it appeared on searching that keyword. PPC marketing world has been evolving since its advent to encounter some of the major changes in the previous year. One of the major changes is Google AdWords being rebranded as Google Ads besides the launch of new types of campaigns, features, targeting options, and tools. Apart from Google, at Bing also, several new PPC tools and features have been launched in the last few years. 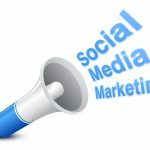 In 2019, PPC marketing sector is going to witness a diversion in audience and automation and several other aspects. So keep on reading to be apparent of these latest updates in the PPC trend. Hitherto, keywords played an important role in website designing, content creation, and website marketing, still 2019 is going to be the year of the audience. 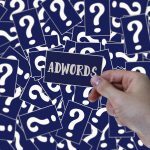 Although, not all tech-savvy professionals are ready to accept that the importance of keywords in PPC marketing stands dead now. They believe both audience and keywords are two important areas of consideration in PPC marketing, with 2019 being majorly known for the relevance of audience-targeting. The basis of competition in PPC marketing will rest with audience data segmentation and implementation. No, we are not talking about how well the automation process replaces humans in the digital marketing era. This is about how well different PPC marketers put different facets of automation in places that serve the purpose of reaching the maximum target audience in limited time. Also, it is not about the emergence of automation in advertising tactics because automation has already been there in the market. Even Google also prefers those marketers who automate their repeated business tasks like bid tracking and reporting saving plenty of time for themselves to bestow on areas of key importance. 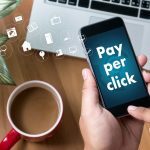 With the emergence of Amazon as a striking advertising platform, marketers have come to know this year will demand an increase in their PPC spending and more specifically diverse PPC spending. 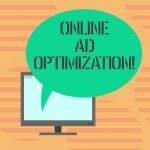 2019 will be a year when key aspects of PPC marketing will be sponsored product ads and other formats, especially for CPG and retail brands. This will allow e-commerce brands to reach a myriad of audience via diverse platforms including Bing, Google, Facebook, and Pinterest with great precision and personalization. This year will more precisely welcome machine battle because of the growing impact of artificial intelligence on PPC campaigns. Campaign managers can now conduct their separate machine learning battles to choose which system will best serve the desired needs of their clients and customers. This is because people have adopted these advancements incredibly and rapidly to keep up with the change which will ultimately be an escalating trend of 2019. This year, PPC campaign managers will need to strategically analyze how to leverage automation and developing skills like cross-channel strategy, new-market analysis, and complex competitor strategies. Although, brand building has always been a part of the digital marketing campaign, it has always been sidelined by the marketers in the crowded vision of achieving increased ROI. 2019 will bring the brand building and its importance back into the light because it is about creating demand for brand products and brand loyalty. Some renowned PPC campaign managers say that platforms and strategies are temporary, but brand affinity and loyalty will withstand every test in the long run. Although last year has seen artificial intelligence, voice search, audience targeting, and automation as a hot trend, this year will be more about brand building and increased advertising opportunities besides further evolution of audience targeting and automation.